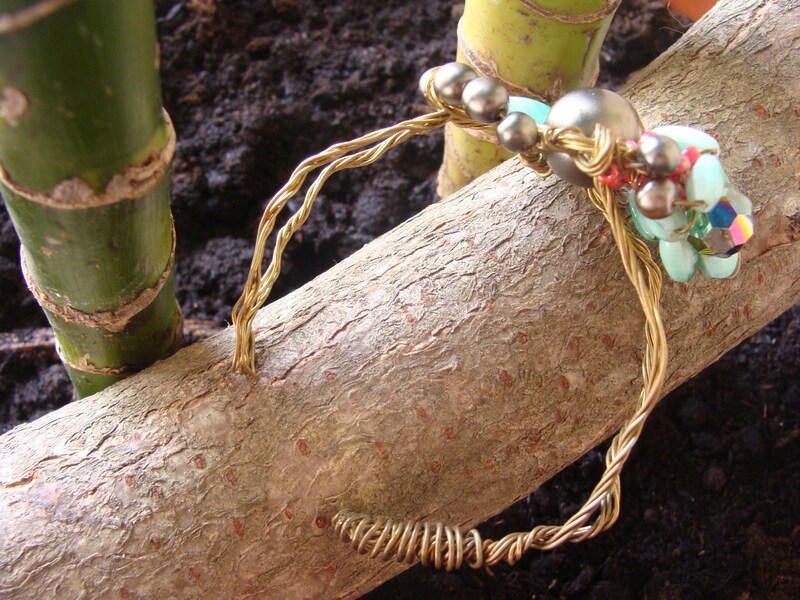 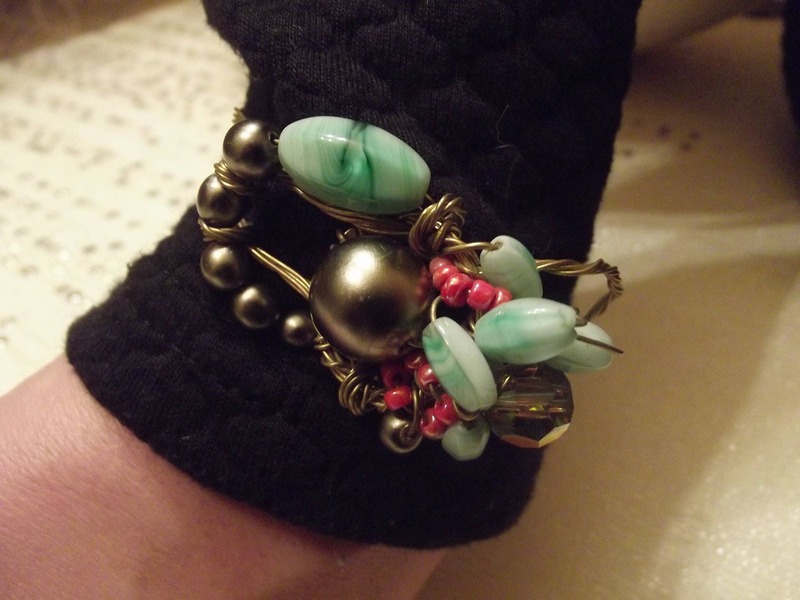 Pretty brass bracelet open, so easily adaptable to your wrist. 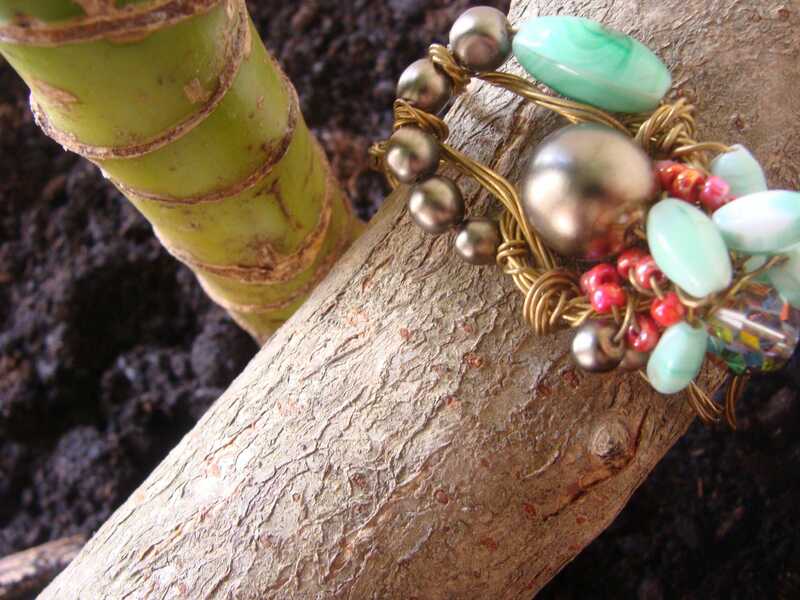 It will dress your summer outfits and fill your days with cheerfulness! 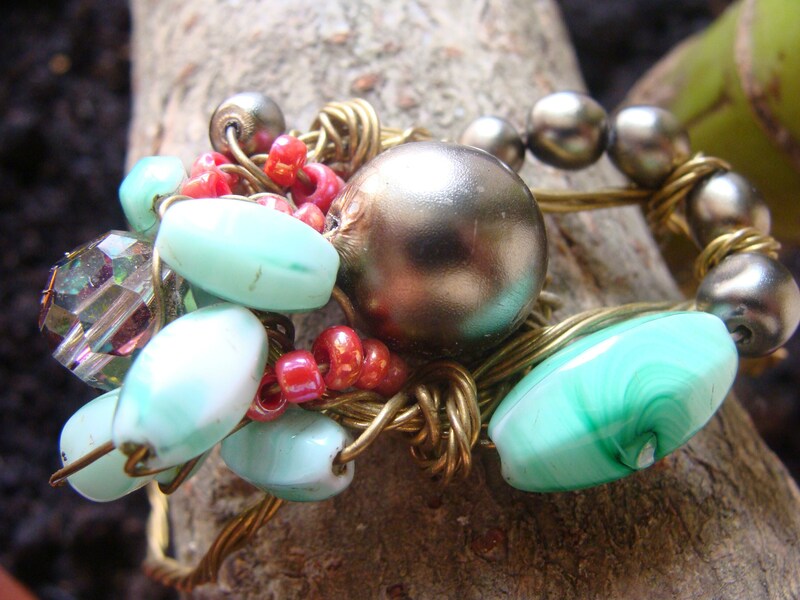 It is decorated with synthetic beads, green, gray and coral. 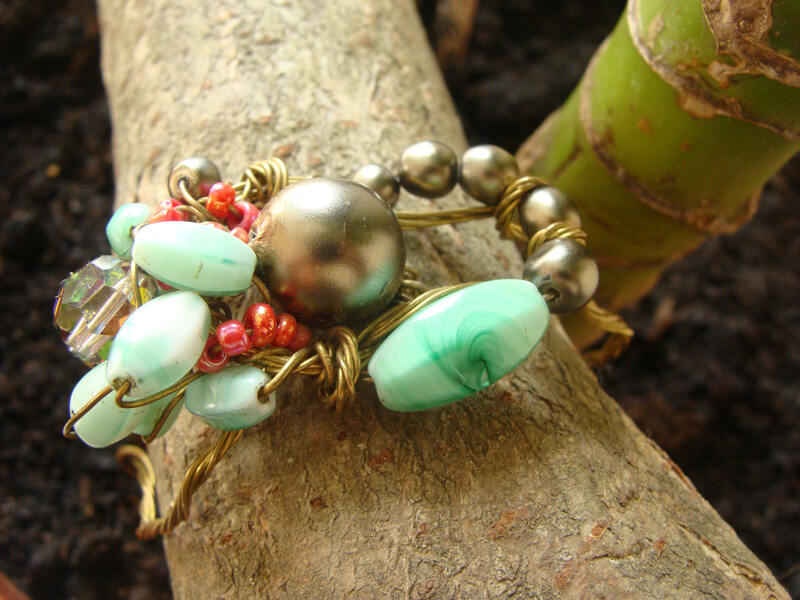 Entirely handmade, craft work realized in my workshop Lyonnais.